Now is easier ordering concrete and have it delivered on time with Truckast. Truckast is a relatively new app for ready-mix concrete contractors and suppliers that will facilitate your job while keeping a constant eye on the concrete pour process. 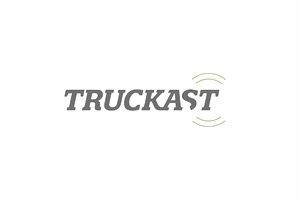 Truckast is a SaaS product available for contractors and suppliers under a paid subscription. The app not only offers reliability but also works through a secure platform so all your data is kept private and up to date. Truckast is available for iPhone, iPad, Android phones or any other device that has a browser that supports web content. You can also demo the app in an emulator on the Truckast website. Trial periods are also offered by the company, in case you want to try it first before paying the full subscription service. If you want to subscribe to service you will then need to contact your supplier sales rep and tell them you want to be invited to join Truckast. Your supplier will invite you, and you will get an email with your username and password. The app provides many benefits and features. Truckast will allow you to set up your ready mix concrete order easily directly from your smartphone/tablet. Also, and once the order is placed, you gain access to tracking delivery times and have an idea on when the concrete trucks will be arriving on site. The app also will maintain a complete record of how many concrete has been placed, how many is on its way and soon will also support photos being uploaded to the platform. One important feature is that the app supports multiple sites at the same time, making it easier for central headquarters to track any specific project at any given time. There is no need to have a special point of contact for every project making a phone call to keep track of the concrete delivery. For you to use the app, both the supplier and contractor must be registered in the system so that the contractor can place orders and those orders are being received by the ready-mix supplier. Contractors can opt to have a single user license fee per year or through a month to month account, and suppliers will need to be in the system as well. The registration process is fast and reliable using secure server connections. Payment can be made in-app, and the developer accepts Visa, MasterCard, and American Express.